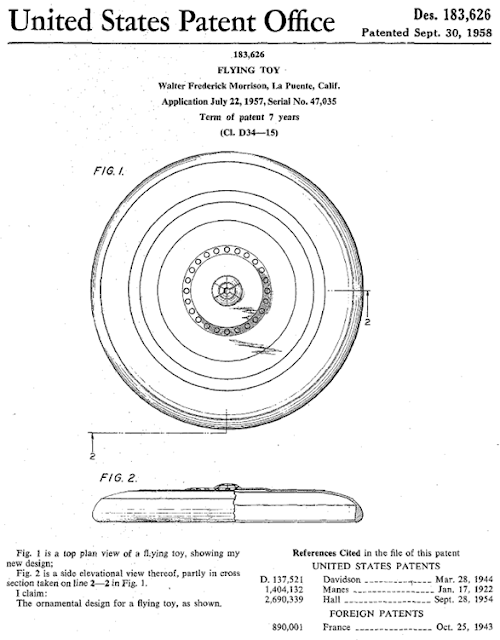 On this date in 1958, Walter "Fred" Morrison received a U.S. Design Patent #183,626 for a "Flying Toy" (aka Frisbee). 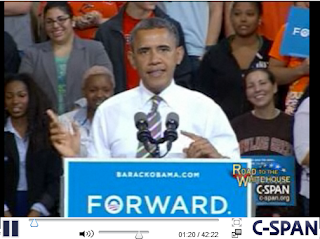 NBC's Parks and Recreation gets all presidential with a segment on "Ultimate Frisbee". Ben Wyatt (Adam Scott): Hey, dude, do you play Ultimate? Intern: Yeah, I play intramural at Georgetown. Ben: Dude, so did I…in college. April: Oh, you should get married. Ben: We should play tomorrow morning in the park. Intern: What about the website? Ben: What…ever. You can put those pics up anytime. 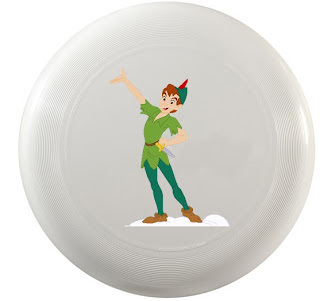 We should lock down some tight disc grabs. Am-i-right, “el-bones”? Intern: It’s better than working. 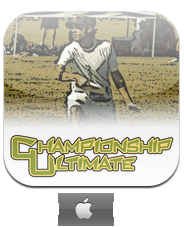 Tomorrow morning...pre-work Ultimate in the park! Everyone's invited. What do you say? Let's do it to it, me dudes! Ben: You ready for a scoober party?...Alligator catch!...Alright, good effort, good effort....Make sure we don't turn this thing into a blade chuck festival, okay?...Banana cut! THE PRESIDENT: Hello, Falcons! (Applause.) Thank you so much. Thank you. (Applause.) Now, let me begin by asking everybody to give Seth a big round of applause for that great introduction. (Applause.) 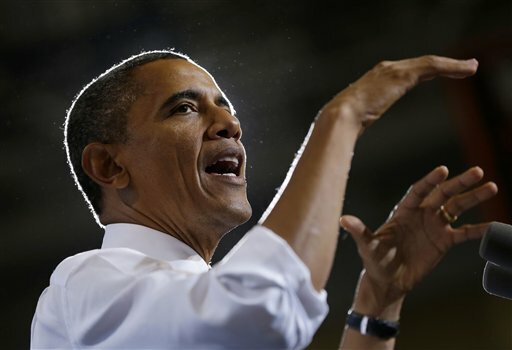 I was backstage and I had trouble hearing -- did he explain what was going on with his arm? He broke his wrist. He was supposed to get it set yesterday but he didn't want to miss this. (Applause.) So when he came up here, his wrist was not yet set, and he’s going to have to go to the hospital afterwards to get his wrist set. Horizontal stack ("Ho") is an Ultimate offense strategy meant to position cutters into lanes so handlers can more easily find open throwing lanes. Think of "Ho" as zone-y stack. In this strategy, there are 4 cutters spread across the field 10-20 yards from the 3 handlers who are setup like a zone offense. 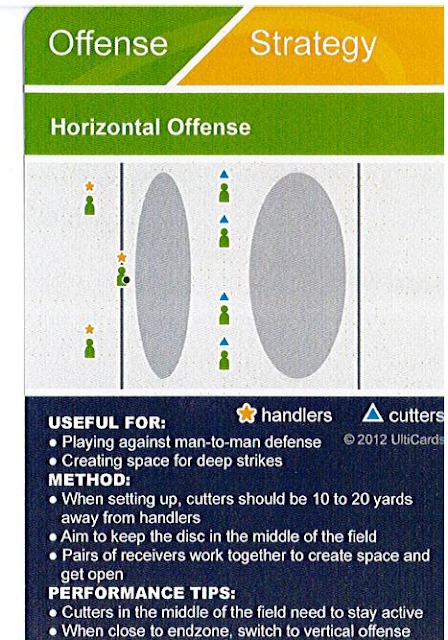 Horizontal offense relies on keeping the middle of the field clear at all times. 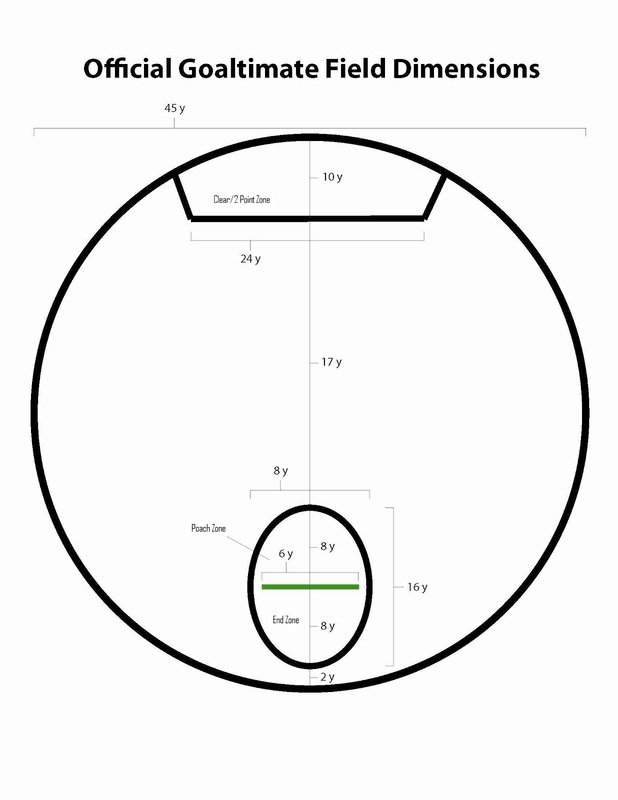 Players in the stack make active cuts directly towards or away from the disc - never in the same direction - so that they are always in their assigned lane (numbered). Also, cutters should not cut to the same place. The cutters in lanes 2 and 4 go deep while simultaneous cut from lanes 1 and 3 have more space to get open. 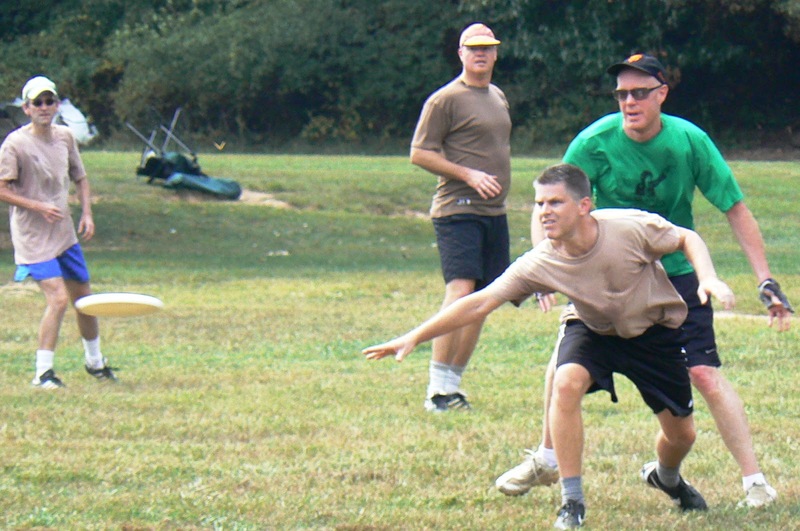 When a cutter catches the disc, they immediately look for an open upfield throw. If there is no open throw before "stall 4", then the cutter should take the dump. So, the disc, and the defense, is kept in motion. The most important part of this offense is for cutters to stay within their lane so defenders cannot guard two players at once. Ho is a good alternative to the vertical stack ("Vert"), but takes stamina to run the entire game. 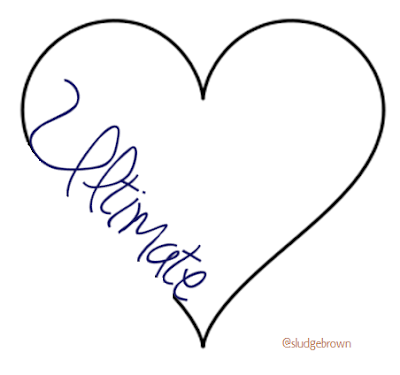 Is there a difference between playing Ultimate with heart and having the heart of an Ultimate player? I'm no doctor, but this "reading" of the electrocardiography (ECG / EKG) appears to show a strong heart for playing Ultimate. Comparison between a normal heartbeat and an Ultimate player's. A simultaneous catch may be more probable in Ultimate - compared to football - because it's easier to catch the disc with one hand, but rare for either sport nonetheless. D. If offensive and defensive players catch the disc simultaneously, the offense retains possession. O. 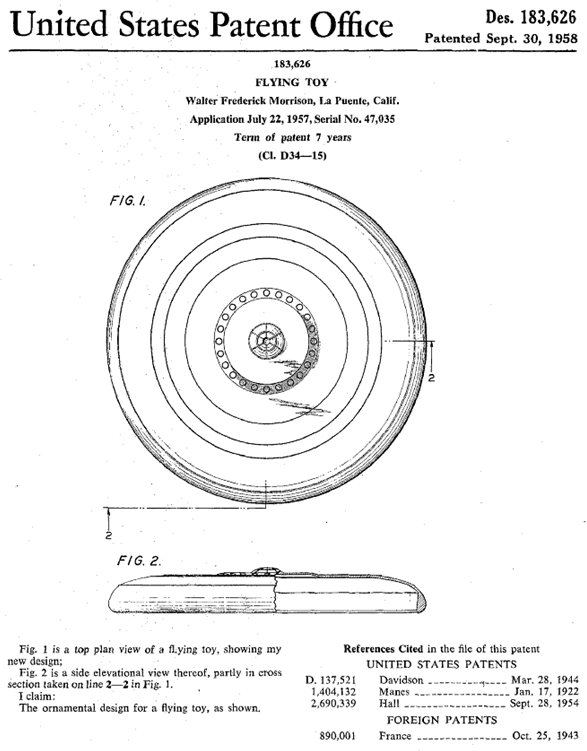 Possession of the disc: Sustained contact with, and control of, a non-spinning disc. 1. Catching a pass is equivalent to establishing possession of that pass. 2. Loss of possession due to ground contact related to a catch negates that player's possession up to that point. 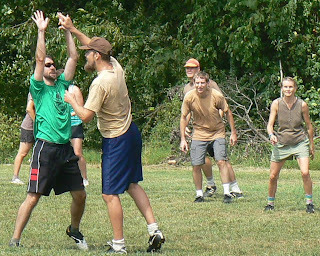 The first day of fall (autumnal equinox) pitted two equal teams in terms of numbers and spirited play. Early points were unnecessarily long with much back-and-forth due to the sporadic (dare I say it...) breeze. Sludge scoring started after a 0-1 deficit with a Joe assist to Nigel who backhanded to RacHel. RacHel scored another from Steve's hammer with an assist from CHarlie. Henry hit Nigel with a quick flick; 4-4. Andrew's swing to Mary Beth (pre-game at-field pick-up) to complete RacHel's hat trick; 5-4. 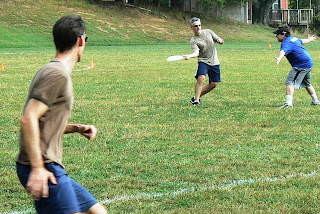 MicHael horizontally caught MattHew's cross-field forehand in the endzone (EZ); 7-6. With Henry's 40-yard flick to Nigel, Sludge flowed right into half; 8-6. Sludge D forced 'lotta-throw' zone all game long. Though, longer points favored discToast, and brown seemed "out-patiented" especially in the 2nd half. Brown had its last lead at 11-10 with MB's hammer. Sludge's slightly OFF-ense was potpourri'd with drops, forced hucks, look-offs, and EZ turnovers. Like the sideline shade umbrella, just when you thought Sludge O was securely in place, it would be knocked off-balanced. 11-12, 11-14, 13-14...Loss 13-15. 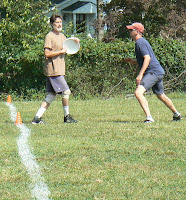 Track practice ("Tractice") seems a popular activity among Ultimate teams. But at what length? How many miles do you run while playing Ultimate?? Knowing this mileage would help with building your running endurance. 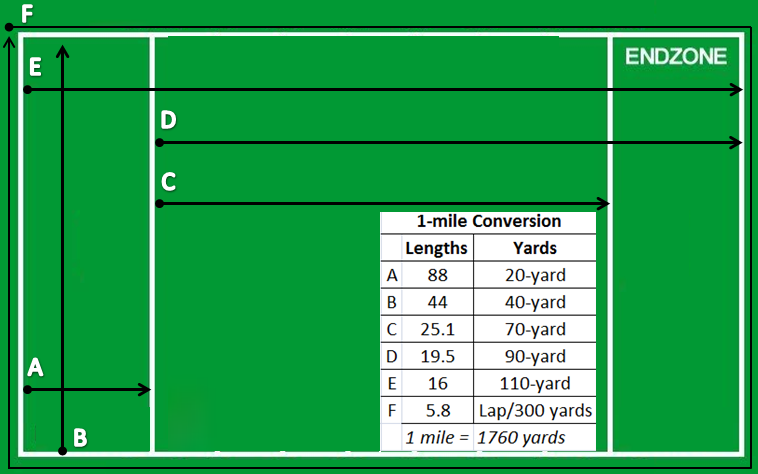 1 yard = 0.000568182 mile, 1 mile = 1760 yards, 1760 yards = 16 Ultimate field lengths. 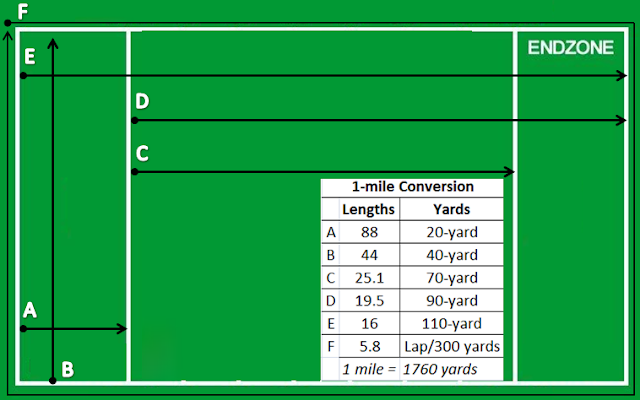 Averaging 150 yards running per point, you would run the first mile during your 12th point. Of course, track running is much different than the jog-shuffle-run-cut-sprint nature necessary in Ultimate. Spend too much time on your phone? 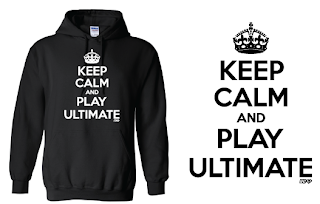 Wish you were playing Ultimate? Now you can do BOTH! Info: The first fully featured game based on the sport of Ultimate. Features 3D graphics, advanced artificial intelligence, and customizeable teams. Run, cut, pull, huck, & layout with real men's and women's college + club teams. Play an exhibition game or a full 16 team tournament with pool and bracket play. Learn the rules & strategies of Ultimate in the extensive manual. Test your skills with the training mode, which includes target practice, layout practice, & various team drills. Create your own team & customize its uniform. Compete in front of a cheering crowd & wacky announcers. View more screenshots. View trailer. Price: $2.99; available for iPhone, iPod Touch, & iPad. Fashion options inspired by the UK poster phrase 'Keep Calm and Carry On' and reworked for the Ultimate sport. 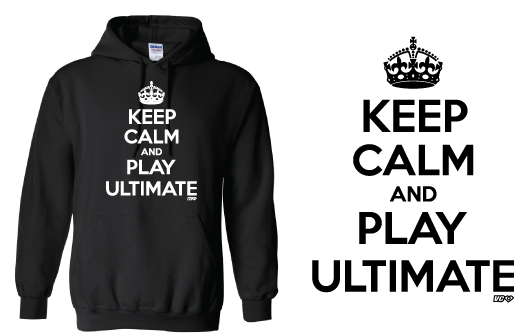 Info: Keep Calm and Play Ultimate - words to live by! - screen printed centered on a cozy Gildan unisex hoodie. Choose from a rainbow of colors including Brown/Chocolate. 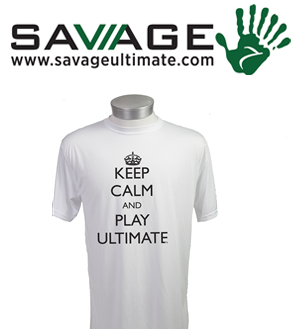 Info: Limited edition "Keep Calm and Get Horizontal" shorts in in collaboration with Europe's finest online Ultimate magazine. Available in 2 versions, ELECTRIC BLUE: fully sublimated featuring a grungy Union Jack over the right leg; left leg carries "KCGH" centered on the thigh. VINTAGE BUNTING: fully sublimated in vintage green with a weathered texture, each leg has a vertical ripped bunting and "KCGH" centered only on the left leg. Info: Shout out to Memphis Summer League who was the first to use this logo. Spot sublimated design so it will never wash out, crack, peel, fade, etc. Apparel choices: jersey, tank top, long sleeve. 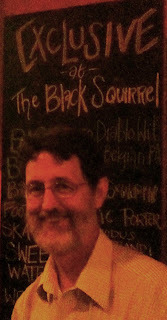 Another chance to...EAT MORE DRINK MORE BEER. Sludge jumped out to an early 5-1 lead against a completely re-tooled Harshmellows. None of the old players we remember are still on the team...but they kept every bit of their characteristic attitude. With a comfortable lead and a zone that kept producing turnovers, brown began to get a little sloppy on offense, opening the door for some quick Harshmellow scores. But the momentum was still in Sludge's favor as Nigel's diving grab gave Sludge an 8-5 lead at half. The second half, however, was all Harshmellows. With all of their players finally in attendance, and with youth and speed clearly on their side, the Harshmellows rattled off score after score, eventually taking the lead at 9-10 en route to an easy victory. Loss 10-15. 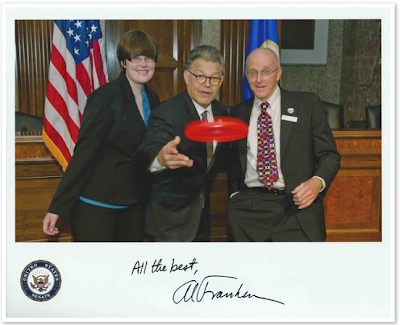 First, Conan; then, Fallon & Jack Black; now Senator Al Franken. What's up with frisbees & comedians? Ultimate easily finds itself into the heart. 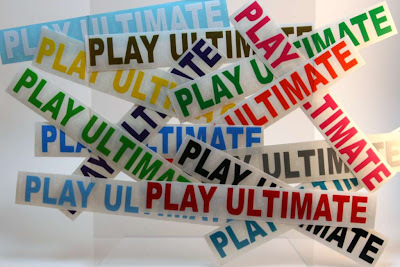 Play Ultimate! 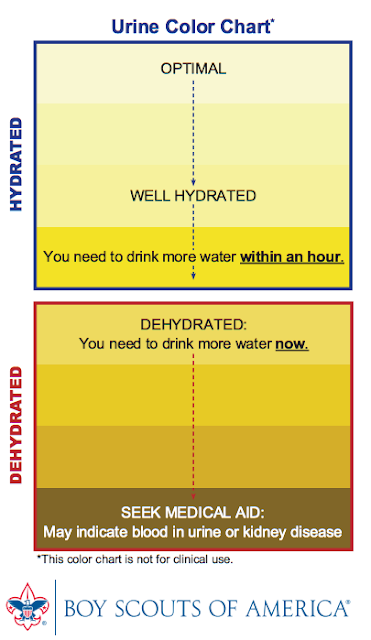 Hydration is essential during every season, not just during warmer weather. Urine You're in for a shock if your pee is brownish/not yellowy whether sitting or playing Ultimate. 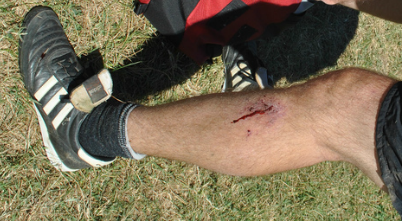 Lack of fluids may cause less than optimal performance on the Ultimate field. There's no need to try to super-hydrate pre-exercise; your body can absorb just so much fluid. If you overdrink, you then may have to (inconveniently) urinate during exercise; the kidneys can only make about one quart of urine per hour. A wise tactic is to tank-up two or more hours pre-exercise; this allows time for your kidneys to process and eliminate the excess. Then drink again five to 15 minutes pre-exercise. Pool Play: Saturday, Nov 10. 11am, 12:30pm & 2pm @ Montgomery Hills. Tournament: Sunday, Nov 18. 9am @ Lake Fairfax. Win & play on at 11am, 1pm & 3pm. My wish for a DC sports team to choose a truly representative city moniker is foiled yet again ("Rats"). Too bad "Spinners" was already taken. Other awesome suggestions: Humidity, Gridlock, AC/DC. 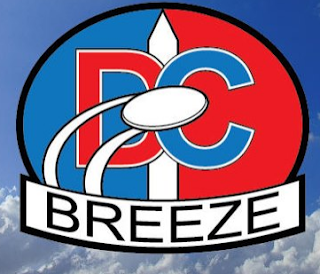 Instead, the American Ultimate Disc League welcomed the league's newest team...the DC Breeze. Aaahhhhhhh. Screengrab from DCB's Fb page. A player recently bought a Discraft Ultra-Star which had this wonderfully brief tutorial on how to play Ultimate with their product. Player in possession cannot move. Receivers may run in any direction. 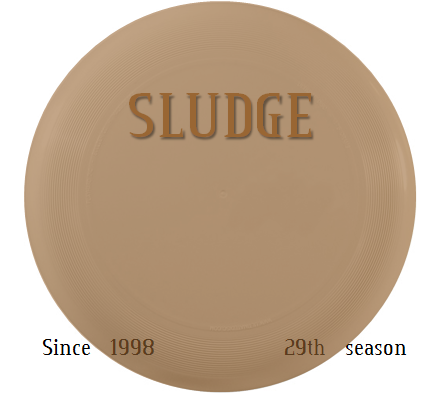 After 111 days since the last Pool Party, 112 days since the last scheduled game, and two years since a roster addition, the first fall season game (the 29th of Sludge's career) began with a nearly full squad. Down 0-1 after a break score, Jen scored the first point of the season. Strong D propelled Sludge O. Henry to Steve; 3-1. Joe to Nigel; 4-1. MattHew to Henry to Steve to Sarah to Jen to Nigel; 5-1. CHarlie to Bucci to Brian; 6-1. Fresh from summer "retirement" Brian swings. Sludge gorged on Shamrock 'N' Roll's turnovers which were influenced by a strong wind throughout the game. A Bucci score from Andrew; 7-4. Play became sloppier after 11 points. 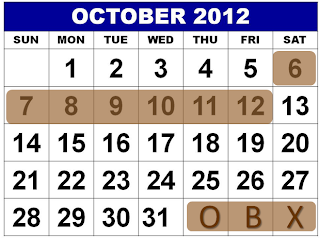 Specifically, Sludge's O was most effective when there were 9 or less passes. More than ten passes meant less cutting & higher stall counts leading to less-than-desired throws. One throw went deep into the endzone where CHris made a diving bid that unfortunately could not be caught, but fortunately avoided a collision with a portable light tower. Point duration was increasing as the wind was shifting. A zone defense provided a needed brown patience, resulting in a work-up; 10-6. Another break score after MattHew flicked a 15-yarder in traffic to Steve; 11-6. Joe sent a swooping flick to the endzone which Rachel snagged; 12-7. Steve hammers over the defender. At 13-10, Sludge's broken O was fixed by a Bucci backhand to a "no-react" Joe for point number 14. Sludge defense made a smashing return with a "Jen-ing" – a variance of the newest internet meme – where you smackdown a D, collide with the opponent & then bleed orange while in a seated position on the ground. The game ended with MicHael's 4-yard forehand to Nigel just inside the sideline cone; Win 15-12. If it looks like a huck, flies like a huck, spins like a huck and sounds like a huck, it's a HUCK. How Many Jam Bands Can You Name during this Ultimate Highlight? "Happiness is not something you experience, it's something you remember." The 29th season of Sludge Ultimate begins on Saturday! This frequently happens at weekend pickup. Another field is setup, but the cones & end zones are misaligned field creating confusion on where scoring begins and ends. Good News: Enough space to fit more than one Ultimate field! Bad News: The fields don't line up. 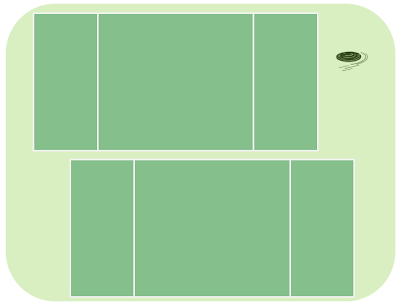 "Fieldigo" when Ultimate fields make you feel spatially disoriented caused by two side-by-side incongruous fields. Sure, the disc on the opposite field's cone can work. 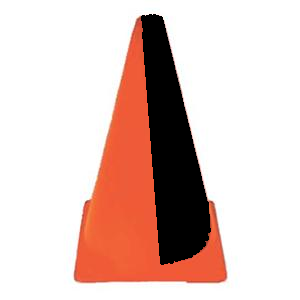 Another idea...the two-toned field cone; one half orange, the other half black. The orange side faces your field while the darkened side is turned away from your field. 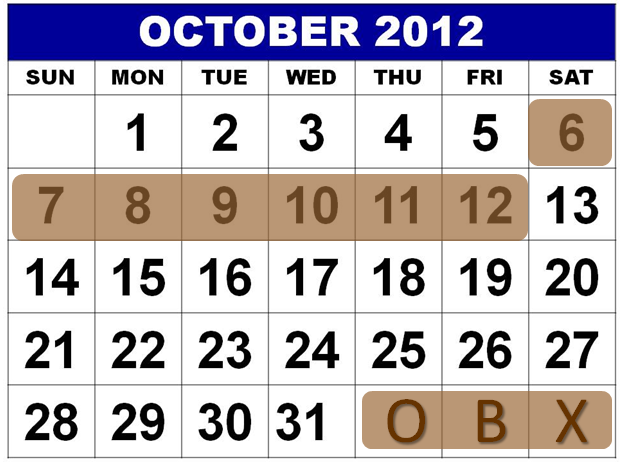 Sludge's October destination is in one month! 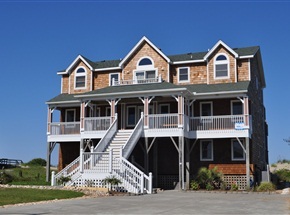 Not this Fish Tales; the OBX Fish Tales. TILTED FLIP CURVES - EXPERIMENT! 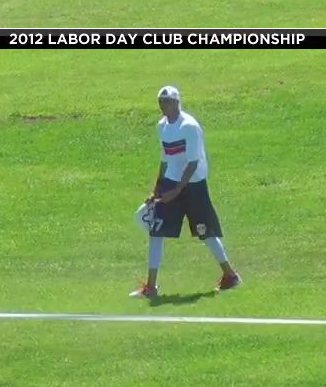 The latest highlight from a club Ultimate game makes SportsCenter's Top10 plays (#6) - Dylan Freechild's layout defense in the endzone with the game tied at 13's, universe point...View in HD. Freechild (#5) peels off his player to layout near the back of the end zone to 'D' the throw. 1) If there had been no video of this play, it could not have been so widely distributed (& applauded). Thanks NGN! 2) The defender should have caught the disc instead of blocking it. Catch your D's! 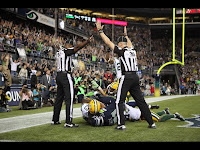 3) If the defender had instead caught the disc, the play might not have been such a dramatic highlight. 4) Awesome recognition by the defender to peel off his player to help his beaten teammate. Don't get beat deep! 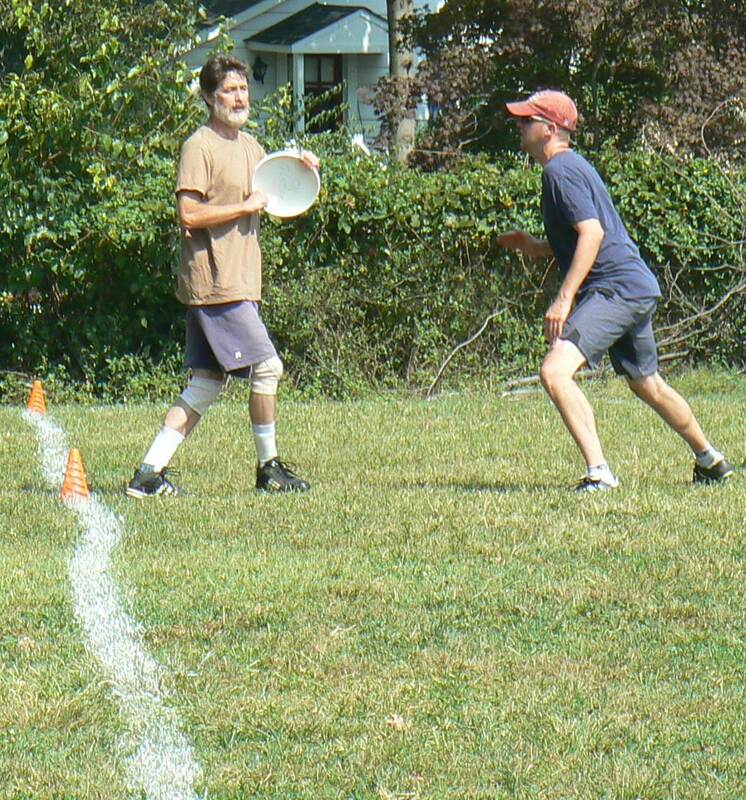 5) The offensive player who just got D'd should have made a play on the tipped disc. 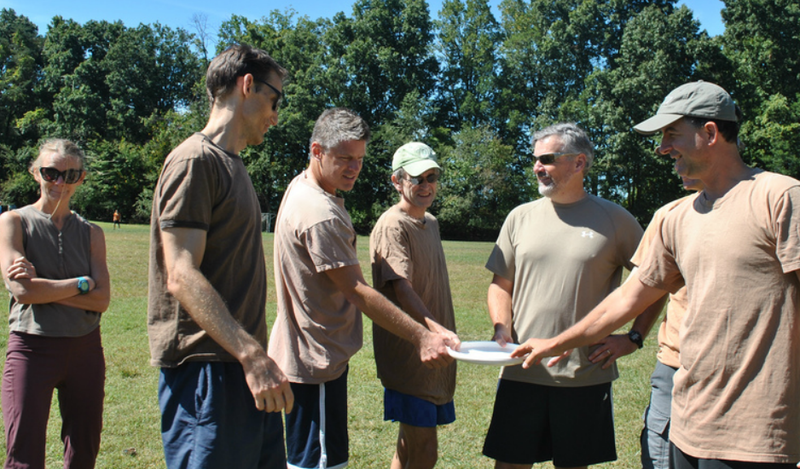 He eventually caught the disc, BUT he ran out of bounds instead of toe-ing the line & making a bid for the disc. The disc appears to be 5-6 feet out of bounds when caught, yet the disc is still spinning & its angle looks it could have been trailing back toward the endzone, which would have made for another try at the disc closer to the back line. Don't *ever* give up on any disc in the air! Player catches the disc out of bounds after the blocked D.
A disc, a field, & a cloned version of mini-Ultimate. Goaltimate is a non-contact, disc sport played by two, 4- or 5-player teams on a circular field, which is 45 yards in diameter. BASICS: Similar to Ultimate Frisbee, upon which it is based, but relies on short, quick cuts and passes. Often referred to as the "half-court basketball version of Ultimate." SCORING: Each goal counts for 1 point. Or, 2 points for goals thrown from behind the "Clear" line. After a score, the offense maintains possession and must work the disc back to the Clear line in order to advance for another score. Attaining Ultimate F L O W should embrace this "non-work" principle.